Take a break from the city and head to Nature & Wildlife Tours and Gantheaume Point. Visit Cable Beach and Reddell Beach for some beach relaxation. And it doesn't end there: take an in-depth tour of Broome Historical Museum, see the interesting displays at SSJG Heritage Centre, take in the architecture and atmosphere at Our Lady Queen of Peace Cathedral, and identify plant and animal life at Malcolm Douglas Crocodile Park and Animal Refuge. 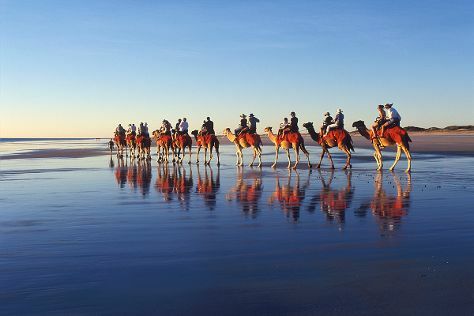 To see other places to visit, more things to do, traveler tips, and more tourist information, read Broome itinerary planning website . Perth to Broome is an approximately 4.5-hour flight. You can also drive; or take a bus. When traveling from Perth in November, plan for a bit warmer days in Broome, with highs around 39°C, while nights are warmer with lows around 30°C. Wrap up your sightseeing on the 12th (Tue) early enough to travel to Purnululu National Park. Kick off your visit on the 13th (Wed): take in the dramatic natural features at Purnululu National Park, explore the striking landscape at Bungle Bungle Range, and then go for a walk through Bungle Bungles Range. To see more things to do, photos, other places to visit, and tourist information, go to the Purnululu National Park trip itinerary maker . Traveling by car from Broome to Purnululu National Park takes 11.5 hours. Finish your sightseeing early on the 13th (Wed) so you can travel to Talbot Bay. 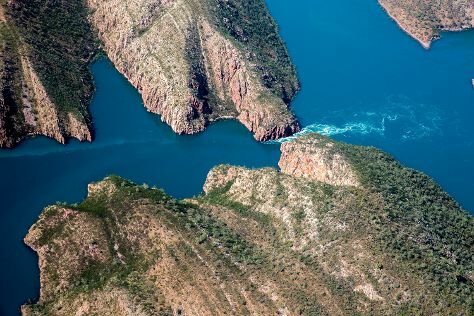 Kick off your visit on the 14th (Thu): admire the sheer force of Horizontal Falls. To find traveler tips, other places to visit, more things to do, and tourist information, refer to the Talbot Bay trip planner. Explore your travel options from Purnululu National Park to Talbot Bay with the Route module. Wrap up your sightseeing by early afternoon on the 14th (Thu) to allow time for travel back home.